Disclosure: Live Well Omaha Kids partnered with me for this post. All opinions are my own. What does dinner time mean to you? If you have children, it can often mean chaos and a big hustle to get food to the table and get the kids there, too. Now that our kids are older. it's harder to make family dinners work. So when I was approached by Live Well Omaha Kids to blog about the Family Dining Week Challenge and Pledge, I knew I had to participate. 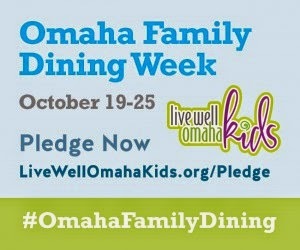 The week of October 19 - 25 has been named Omaha Family Dining Week by Mayor Jean Stothert. Sean and I have always put a focus on sitting down at the table as a family as much as possible. We turn the TV off and have a no-screens rule. Then we talk about our day over dinner. I read an article once that said the one common denominator among Rhodes scholars was they sat down to have family dinners together. I used to tell my kids, "We're getting you a scholarship so sit and eat." Family meal time seems to be dwindling--even in our home. We still work hard to make a family meal a reality as often as we can. Sometimes we eat early to make it to activities or we eat late--with our kids being older, I don't feel as pressured to have the exact same meal time each night. There are so many good reasons to eat together as a family, but some of the facts on the website surprised me. How about you and your family? Do you want to join us in bringing back Family Dining? 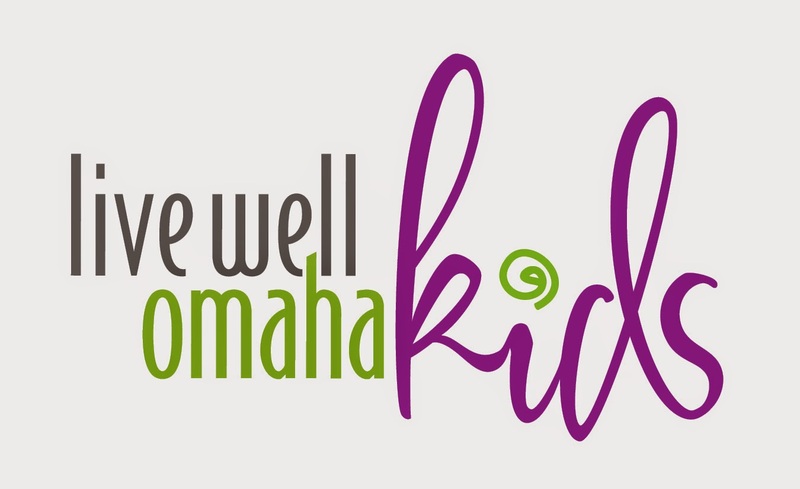 Live Well Omaha Kids is also sponsoring a giveaway on my blog. For those who take the pledge, you can win a $15 HyVee Gift Card. Enter below for your chance to win. For more chances to win a $15 HyVee Gift Card, please stop by these blogs and enter their giveaways, too. Does it count if you have family dinner EVERY night but all you can get out of the 13 year old is GRUNTS??? We try to eat together as much as possible but it's not easy when we have activities and my husband works late some nights. This week we will talk about Halloween activities and how things are going in school. Our favorite meal to have, or at least prepare as a family, is homemade pizza. The main reason is because that is one food that the kids can actually help make. I think that will play a large role in our family dining week. Jasanna - thanks for asking. I forgot to actually push the 'display winner' button. David L won the gift card. Congrats to David!